Last week saw the opening of the 71st session of the United Nations (UN) General Assembly. In his inaugural address, incoming General Assembly President Peter Thompson declared that the session would focus on advancing the seventeen Sustainable Development Goals (SDGs), adopted in September 2015. 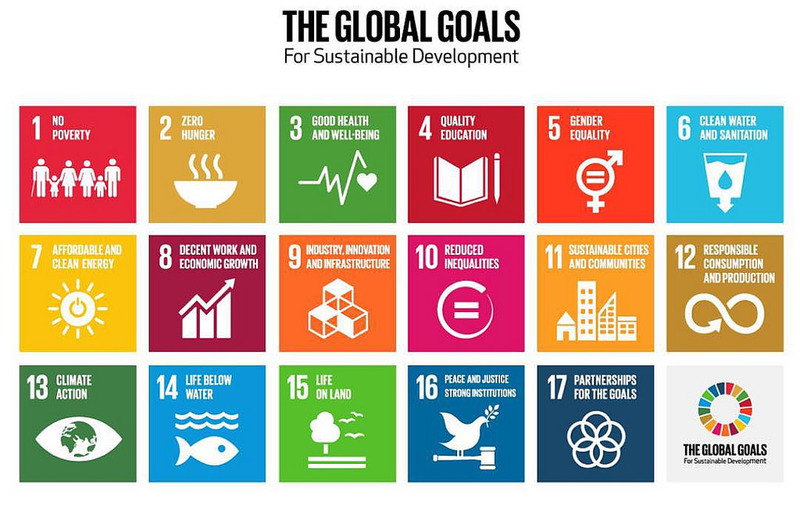 The SDGs form part of the UN’s 2030 Agenda for Sustainable Development, which aims to eradicate poverty and ensure prosperity for all, such that everyone “can fulfill their potential in dignity and equality and in a healthy environment.” Achieving this laudable aim will require action to promote economic growth, while ensuring social inclusion and environmental protection. But balancing these economic, social, and environmental ideals is easier said than done, particularly in the era of climate change. In this new era, questions abound regarding what constitutes “sustainable” development and how to achieve it. Central to these questions is the role of fossil fuels, which have long been seen as the backbone of economic growth, but now threaten to interfere with international climate goals. Throughout the last century, developed countries have relied heavily on fossil fuels to power their economies, emitting substantial greenhouse gases in the process. With the effects of these gases now beginning to be felt, in the form of higher temperatures and associated climatic changes, calls are intensifying to phase out fossil fuels. That is now beginning to occur in many developed countries, which are increasingly looking at renewable energy sources. This shift will have profound implications for the developing world, which has vast untapped fossil fuel resources, but may be unable to realize their value. 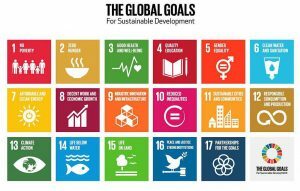 In a July 2016 report, the UN Department of Economic and Social Affairs described climate change as the “single biggest threat to development.” Action to mitigate climate change was included as Goal 13 of the SDGs and is widely recognized as essential for achieving many others. These include Goal 2: Zero Hunger, as the higher temperatures and variable precipitation associated with climate change will threaten food supplies, and Goal 6: Clean Water, as periods of more frequent and severe floods will increase the risk of water contamination. While supporting these goals, however, climate action could make it more difficult to achieve others. Most significantly, it could impair economic growth (SDG 8), particularly in resource-dependent low-income countries, which may have to, or may opt to, leave fossil fuels in the ground. Seeking to avoid the worst impacts of climate change, in the 2015 Paris Agreement, the international community set a goal of “[h]olding the increase in the global average temperature to well below 2oC above pre-industrial levels.” Achieving that goal will require a dramatic cut in fossil fuel development. A recent study published in Nature found that, to achieve the 2oC target, up to 88 percent of global coal reserves, 52 percent of gas reserves, and 35 percent of oil reserves must be abandoned. According to the study, the level of abandonment is likely to vary regionally, creating winners and losers. Compare, for example, the expected level of resource abandonment in the U.S. and Africa. Assuming adoption of least-cost climate policies, just 9 percent of U.S. oil reserves and 6 percent of U.S. gas reserves would be abandoned, compared to 26 percent of African oil and 34 percent of African gas. Abandonment of such a large share of Africa’s oil and gas reserves could have profound economic impacts. Many African nations are heavily dependent on fossil fuel development for their economic growth and argue that, to continue growing, they must further develop their resources to bring power to the masses. In sub-Saharan African, an estimated 620 million people, equivalent to two-thirds of the population, live without electricity. Major new fossil fuel discoveries throughout the region, including in Mozambique, Tanzania, and Uganda, could enable them to close the gap. This will, however, come at a cost in terms of climate change. Debate is currently raging over the future utilization of fossil fuels in Africa and other developing countries. Many difficult questions remain to be answered. For example, to what extent should developing countries be forced to abandon their fossil fuel resources? Is this fair given their historically small contribution to climate change? Can it be reconciled with broader goals of ending poverty and enhancing prosperity? How can non-fossil fuel energy sources be supported in the developing world? These are just some of the issues to be discussed at the 11th Annual Columbia International Investment Conference on November 2 and 3. The discussions are sure to yield valuable insights, which will be useful for the 22nd meeting of the Conference of the Parties to the UN Framework Convention on Climate Change, scheduled to take place the following week in Morocco. Further information about the Columbia International Investment Conference is available here.